How to Select 10G SFP+ Modules for Cisco Switches? 10G fiber optic network is being widespread in today’s telecommunication network. A lot of 10G fiber optic devices like switches are being uses, among which Cisco devices are the most commonly used according to statistics. If you choose a Cisco switch, Cisco original brand or Cisco compatible modules like SFP/SFP+ might be needed for transferring between optical signals and electrical signals. This post will offer details about how to select the proper 10G SFP+ module for Cisco switches. 10G fiber optic network is mature now, and there is a wide selection of 10G IEEE standards for different 10G networking applications and environments. Before you buy 10G SFP+ modules for your Cisco switches, you should firstly get to know these 10G standards. IEEE has defined 10G standards for different transmission distance and transmission media. For instance, there are 10GBASE-SR SFP+ for short distance up to 300 meters over OM3 multimode optical fiber and 10GBASE-LR for long distance up to 10 kilometers over single-mode fiber. There are also standards for 10G transmission over copper cables like 10GBASE-CR and 10GBASE-T. The following table listed the details for the most commonly used 10G standards. in short distances: OM3 (up to 300m) and OM4 (up to 400m). 10GBASE-ZR Support 10G transmission over 1550nm single-mode fiber optic up to 80km. For short links, attenuation is required to ensure transmission quality. two different wavelengths up to 80km. 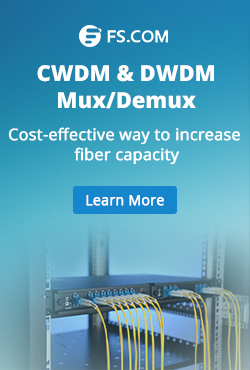 10G CWDM/DWDM Support 10G transmission over 1550nm single-mode fiber optic up to 80km. and offer a cost-effective way for connections within racks. The naming system of Cisco 10G SFP+ modules is closely related to the IEEE standards. Here I listed several examples for Cisco SFP+ module to better illustrate how Cisco names its 10G SFP+ modules. For common 10G SFP+ modules, Cisco uses the key words of the standards to name the responding modules. For special modules, Cisco has built another naming system. For a pair of BiDi SFP+ modules, letter “D” and “U” is used to the two modules that are used together on each end of the fiber optic link. For instance, SFP-10G-BXD-I & SFP-10G-BXU-I is a pair of BiDi Modules that can support transmission distance up to 10km. Additional numbers are added to mark the transmission distance of the BiDi modules. SFP-10G-BX40D-I & SFP-10G-BX40U-I is a pair of BiDi SFP+ modules that can support transmission distance up to 40km. For CWDM 10G SFP+ and DWDM SFP+, the wavelength is added in the part number. For instance, CWDM-SFP10G-1470 is the part number of a CWDM SFP+ that is operated at wavelength of 1470nm. If you want a CWDM SFP+ operating over 1550nm, then the product number of this CWDM module should be CWDM-SFP10G-1550. As all the DWDM SFP+ modules are operated over wavelengths around 1500nm, in the product number of Cisco DWDM SFP+ modules, the first two number 1 and 5 is eliminated. For example, DWDM-SFP10G-61.41 stands for a DWDM SFP+ transceiver with operating wavelength of 1561.41nm. For modules like SFP+ direct attach cable (SFP+ DAC) and SFP+ active optical cable (SFP+ AOC) which contains a length of cables, Cisco combines the characters of IEEE standard and number to name its modules. Cisco SFP-H10GB-CU1M stands for 10G SFP+ direct attach copper cable that is one-meter long. Cisco SFP-10G-AOC2M is a 2-meter long 10G SFP+ active optical cable. Do You Really Need Cisco Original Brand SFP+ Module? Except IEEE standard and transmission distance, to select the proper 10G SFP+ module should also considerate several other factors like compatibility and costs. Although Cisco has a wide selection of switches and 10G SFP+ modules, but not every SFP+ modules can work well on every Cisco switches SFP+ port. Before selecting the SFP+ msodule for your Cisco switch, you must make sure this SFP+ is compatible with your switch. The second important factor is the costs for the SFP+ modules. Why? SFP+ module is just a small part of the whole fiber optic network, but the use amount of SFP+ module is very large. Cisco Original brand SFP+ modules are usually expensive. Thus, select cost-effective modules are necessary. Actually, Cisco Original brand SFP+ module is not the only choice. There are also many third party modules that it compatible with Cisco switches. 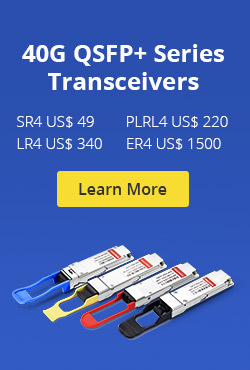 Generally, prices of third party fiber optic transceivers are much lower than the original brand ones. 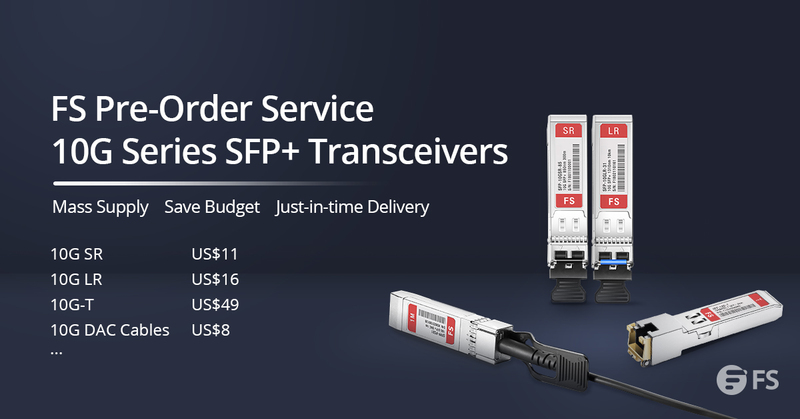 FS.COM 10G SFP+ transceivers enjoy pre-order service which can help to save budget. How to Buy Cisco 10G SFP+ Module? If you have plenty of money, you can directly order the modules from Cisco. However, if you are going to select the third party modules for a cost-effective solution, then the quality and compatibility would be very important. FS.COM is a provider offers a full range of Cisco compatible modules. All its modules are fully tested in original brand switches to ensure the compatibility and quality. What’s more, FS.COM uses the same naming system as Cisco for its Cisco compatible modules and generic fiber optic modules. A list is also offered in the product page of each fiber optic modules showing the compatible switches and platforms. Customer can use the Cisco product number to search Cisco Compatible and generic modules in FS.COM directly. This entry was posted in How To, Network Solutions, Optical Transceiver Solution, Wiki and tagged cisco 10g sfp, Cisco compatible sfp, Cisco SFP, Cisco SFP+ module, SFP-10G-SR, SFP-H10GB-CU1M, SFP+ module on September 5, 2016 by Alice Gui. Cisco Catalyst 4900 series switches were once the most widely deployed ToR (top-of-rack) switches in this industry. This post will introduce the detailed cabling information for two upgrade version of this series switches, which are Cisco Catalyst 4948E and Catalyst 4948E-F. Compared with Catalyst 4900 series switches, the two switches double the uplink bandwidth and provide nonblocking server-to-server traffic with 176G aggregate throughput. Meanwhile, they provide true front to back and back to front airflow with no side or top venting, which can largely reduce the cooling burden of the data centers. Cisco Catalyst 4948E and Catalyst 4948E-F are very alike. The main difference of the two switches is that the air flow in the Catalyst 4948E goes from the front to the rear of the switch while in Catalyst 4948E-F switch the air flow goes from the rear to the front. The front panel of the two switches is generally the same. Both of the two switches are one-rack-unit (1RU) fixed configuration switch with 48 RJ45 ports of 10/100/1000M for downlink and 4 SFP/SFP+ ports of 1/10G for uplink on the front panel. The following picture shows the detailed port information of Cisco Catalyst 4948E and 4948E-F switch. The 48 ports on the front panel of Catalyst 4948/4948E-F can support downlink of 10/100/1000M. The great advantage of these ports is that they can configure themselves to operate at the speed of the attached devices. If the attached devices do not support auto-negotiation, the speed and duplex parameters can be set explicitly. A network cable with a RJ-45 plug at both end can connect Cisco Catalyst 4948E/4948E-F switch to the downlink target devices. The four uplink SFP/SFP+ ports on Cisco Catalyst 4948E and Catalyst 4948E-F can support both copper and fiber optic transmission of 1G/10G by using different modules and cables. In addition, these ports can also support CWDM SFP transceivers and DWDM SFP transceivers. The following part will introduce the details about how to connect Cisco Catalyst 4948E/4948E-F to 1G network and 10G network. For 1G connection based on cooper, the 1000BASE-T can be used with RJ45 connector and Cat5 cable. 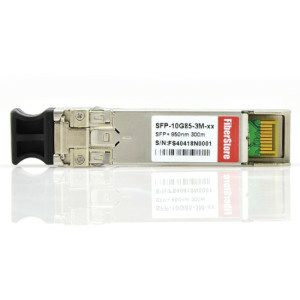 For 1G connection based on fiber optic, there are a wide range of SFP transceivers can be used. Different SFP transceivers should be used with appropriate cables to ensure its best performance. For example, CWDM and DWDM SFP transceivers is usually used with LC connector and single-mode fiber optic cable, thus they can support long distance transmission. The following table presents the solutions for Cisco Catalyst 4948E/4948E-F 1G uplink connection. For 10G connection, both transceiver and DAC (direct attach cable) can be used, according to the transmission distance requirements. Generally, 10G SFP+ to SFP+ DAC can support transmission distance around 10 meters. If transmission distances are up to hundreds meters or kilometers, fiber optic transceivers should be used. The following table is the detailed solution for Cisco Catalyst 4948E/4948E-F 10G uplink connection. Please contact sales@fs.com or visit FS.COM for more details about the compatible transceivers and DACs for Cisco Catalyst 4948E and Cisco Catalyst 4948E-F switches. This entry was posted in Fiber Cabling, Network Solutions, Optical Transceiver Solution and tagged Catalyst 4948E, Catalyst 4948E-F, Cisco compatible sfp, Cisco SFP on April 15, 2016 by Alice Gui. Recently, when I surf on some forums about this industry, I found some people are confused on the meaning of Cisco switch models as some of the Cisco switches models have a similar model. For example, the part number “Cisco 2960 WS-C2960-24PC-L” is only one letter difference from the “Cisco 2960 Switch WS-C2960-24PC-S”, but they have different functions. -L for the former means LAN Base Image while -S for the latter means Standard Image (Here refers to the types of Software Mirroring). Cisco, the worldwide leader in networking systems for organizations of every size, its switches are widely used in network system of many enterprises, campus or data centers. Due to its great quantities of models, whether you are a newbie or skilled man in this industry, you may get confused on it sometimes. Today, this paper will teach you to identify the models of Cisco switches. There are two brand of Cisco switches models – “Catalyst” and “Nexus”. Nexus is the new generation of products of Cisco switches models in order to better fit the cloud computing, virtualization, and consolidation of new generation data center. Each brand has several series according to different requirements. Overall, they can be divided into two types – Fixed-configuration switches & Modular switches. Excepted the limited upgrade of software, the fixed-configuration type of Cisco switches models can’t extend any more. Compared to the fixed-configuration switches, the Modular switches are much convenient to some certain extent. Users can select different numbers and sizes of interface panels, power supply module and the corresponding software according to their network requirements. When selecting the device, the long and complex models of the Cisco switches models always makes many people confused. Actually, there is a regularity of Cisco switches models that we will explain in detail in the following. In general, Cisco switches models are started with WS-. WS-C means the switch products and the products with WS-X begining refer to the engines or modules of switches. In addition, there is WS-G which means the Gigabit fiber optic transceiver modules of switches. Now, I explain the detailed meaning of each letter in the model through a few of examples. when there is only T, it means there is no uplink port in the switch. S — the last letter of this model stands for Standard Image. When here is L, it stands for LAN Base Image and there is E that means Enhanced Image. Sometimes, we may see -S1U, -SF or -EF here, F stands for full power. 1U means the body height is the standard height ( about 4.4cm ). If you have any suggestions or additions with this article, please catch in touch with us. Warm tips of the author: Fiberstore provides a series of Cisco comaptible SFP modules which can be equivalent to Cisco GLC-T, Cisco GLC-SX-MM, Cisco GLC-LH-SM, Cisco GLC-ZX-SM, and Cisco CWDM SFP, Cisco DWDM SFP, etc. In addition, Cisco compatible SFP+ are offered which can be equivalent to Cisco SFP-10G-SR, Cisco SFP-10G-LR, Cisco SFP-10G-LRM, Cisco SFP-10G-ER, Cisco SFP-10G-ZR and so on. Furthermore, Cisco QSFP+/SFP+ Cables (compatible) are also avaliable. You can get everything you’ve come to expect from our Cisco compatible transceivers at up to 90% off the Cisco list price. Welcome any consultation about fiber optic transceiver in Fiberstore! This entry was posted in Network Solutions and tagged Cisco compatible sfp, Cisco QSFP+/SFP+ Cables (compatible), cisco switch models, Cisco switches on October 30, 2014 by Admin.